We're laid back---just like our geometry! Scott V’s Panasonic DX-2000. For all things Panasonic, be sure to head over to the Panasonic Bike Museum! 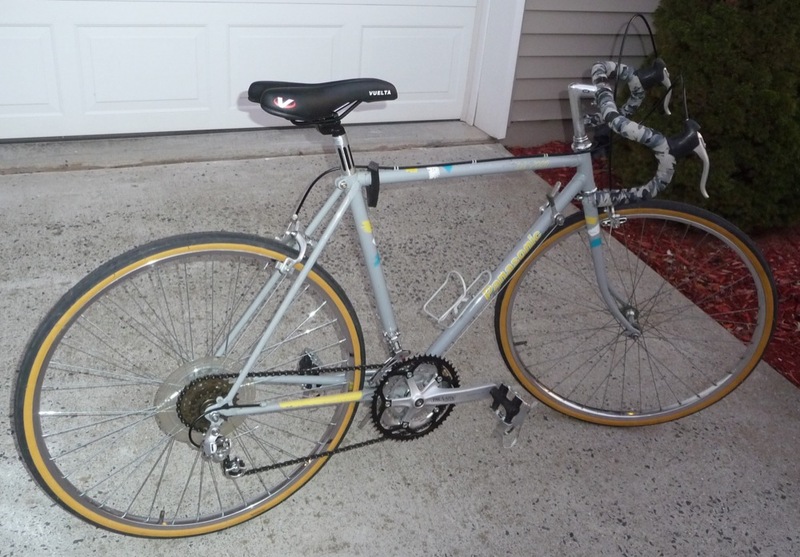 I bought this Grey 1988 Panasonic DX-2000 55cmTange 900 Cr-Mo Double Butted frame with original Mangalloy fork and cobbled together a nice ride. 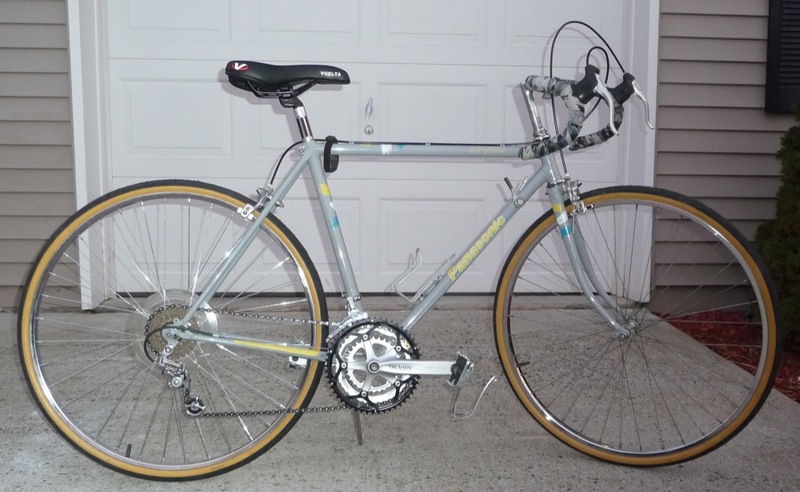 Now it is a 15 speed road bike with 26” steel wheels giving a 30” standover height. Dia Compe brake levers with hoods, Bridgestone dual pivot alloy calipers. New Vuelta seat, & Truvative 3 cog alloy crank set, alloy seat post, Greenfield alloy kickstand & Shimano UN54 sealed bottom bracket. Suntour 2000 derailleurs front & rear. New chain, pedals & Clips. Fresh bar tape. Hey, nice bike! 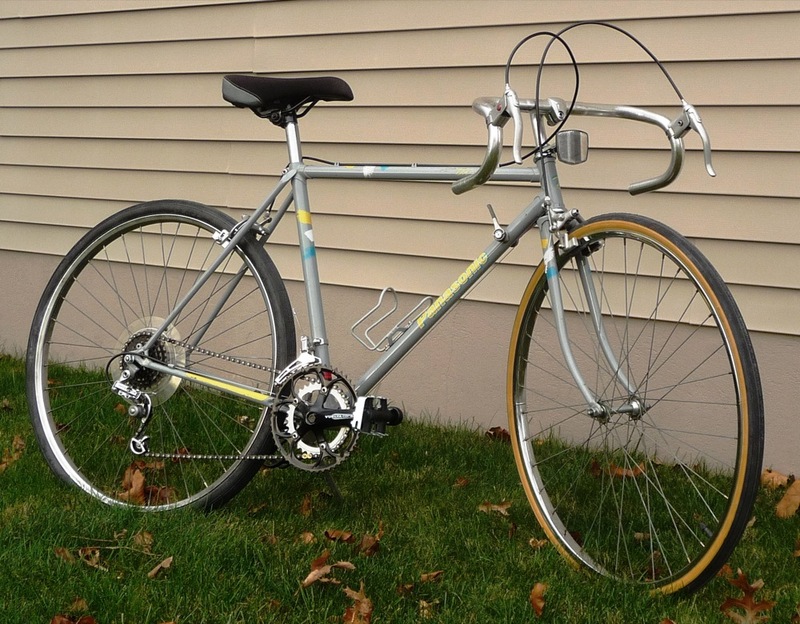 Would you believe I saw the same exact bike a couple of days ago sitting in a bike shop just waiting to be restored? It had same exact paint job, dirty–but in pretty much the same shape as yours. 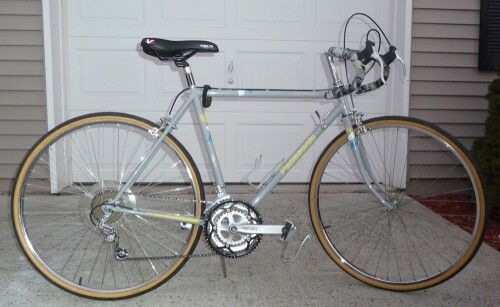 If I’m not mistaken I think it was rim-less; was 26” original to the bike or 27”? You did a great job putting it together and modernizing it a bit, love the camo bar wrap and the new crank set. I have always been fond of Panasonic’s, but it’s not very often that they cross my path. 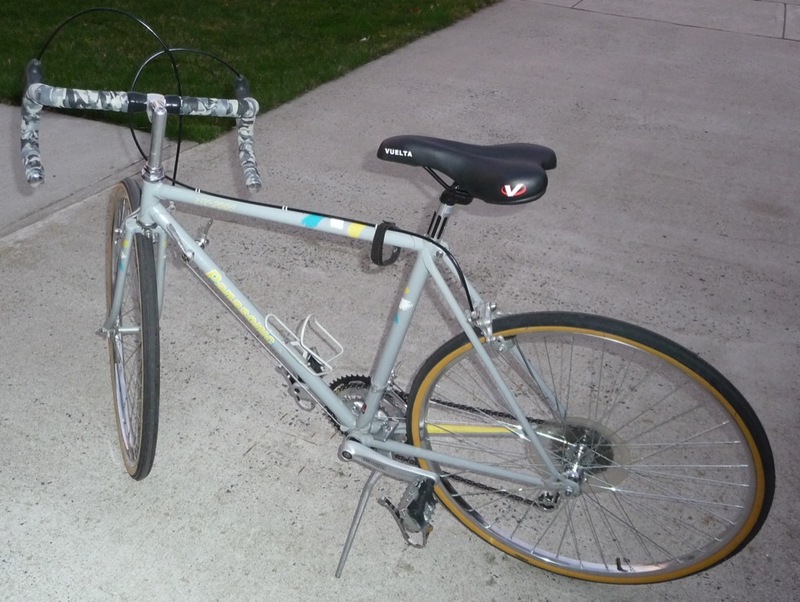 27″ & 700C wouldn’t fit with a set of brakes & kickstand. I couldn’t get Alloy rims without breaking the bank, so steel it is. It’s light and agile to ride. 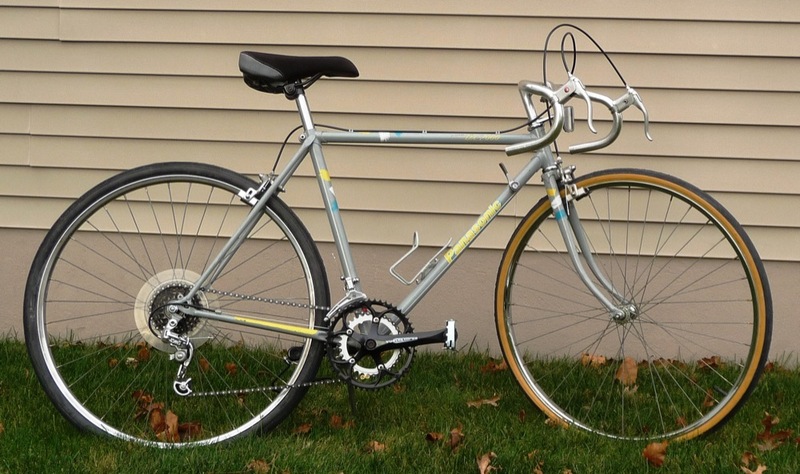 Very sweet ride and the paint job is tres 80’s and makes me smile- the gray camo bar tape was an excellent choice. Nice job Scott V.